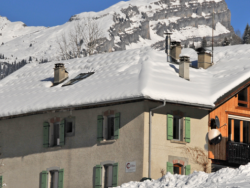 [luxury_short_description] => Stunning alpine, open-plan chalet set in the beautiful village of Samoens. Chalet sleeps 11 in five en-suite bedrooms. [luxury_short_description] => Maison La Cerisaie is a blend of traditional Alpine character and modern design in a magnificent setting only 70 min from Geneva airport. Maison La Cerisaie is a blend of traditional Alpine character and modern design in a magnificent setting only 70 min from Geneva airport.